TGx:Details for torrent "[ FreeCourseWeb ] PluralSight - Running Practitioner Level Projects with Agile"
Torrent details for "[ FreeCourseWeb ] PluralSight - Running Practitioner Level Projects with Agile"
This course is part of the PRINCE2 Agile® Learning path and will teach you to tailor your PRINCE2® project to incorporate agile concepts, techniques, and methods so you can benefit from the best of both worlds.Combining the PRINCE2® management method with agile delivery makes a winning combination for complex projects. 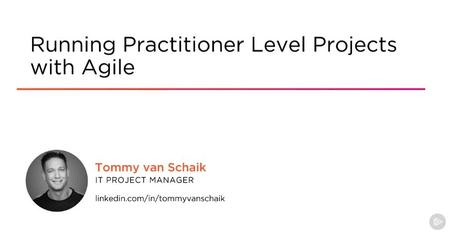 In this course, Running Practitioner Level Projects with Agile, we will take a deep dive into tailoring your projects to fit an agile environment and explore all the practitioner level skills of the PRINCE2 Agile® method. First, you will discover the agile tailoring concepts that are applied at the beginning of a project. Next, you will learn about the aspects of projects that need to be tailored during the running of the project. Finally, you will receive tips and tricks from experienced project managers with regards to running a PRINCE2 Agile® project. When you are finished with this course, you will be able to run PRINCE2 Agile® projects on a practitioner level, and you will be ready to pass your PRINCE2 Agile® practitioner exam.